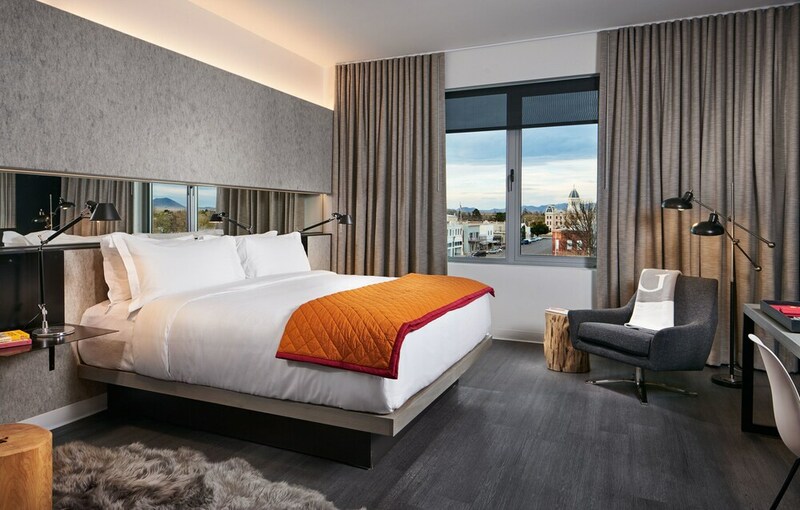 A stay at Hotel Saint George places you in the heart of Marfa, steps from Marfa and Presidio County Museum and Ballroom Marfa. This hotel is 0.2 mi (0.4 km) from Presidio County Courthouse and 1 mi (1.5 km) from Fort D. A. Russell. Make yourself at home in one of the 55 individually furnished guestrooms, featuring refrigerators and minibars. Flat-screen televisions with cable programming provide entertainment, while complimentary wireless Internet access keeps you connected. Private bathrooms with showers feature complimentary toiletries and hair dryers. Conveniences include safes and desks, as well as phones with free international calls. Enjoy a meal at the restaurant or snacks in the coffee shop/café. The hotel also offers room service (during limited hours). Quench your thirst with your favorite drink at the bar/lounge. Cooked-to-order breakfasts are available daily for a fee. Featured amenities include complimentary wired Internet access, a 24-hour front desk, and multilingual staff. Event facilities at this hotel consist of a conference center and a meeting room. Free self parking is available onsite. Hotel Saint George features an outdoor pool and a fitness center. The hotel offers a restaurant and a coffee shop/café. A bar/lounge is on site where guests can unwind with a drink. Wired and wireless Internet access is complimentary. This business-friendly hotel also offers tour/ticket assistance, multilingual staff, and gift shops/newsstands. Onsite self parking is complimentary. Hotel Saint George is a smoke-free property. Hotel Saint George has a restaurant on site.